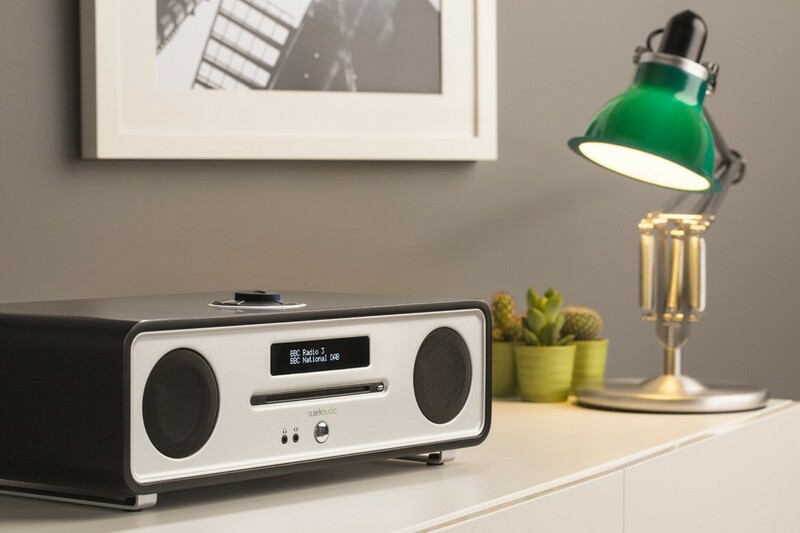 Ruark Audio R4 Mk3 all-in-one music system is the latest version of Ruark's flagship desktop audio system and receives DAB, DAB+ and FM Radio. You can also steam music via Bluetooth and play your CDs. 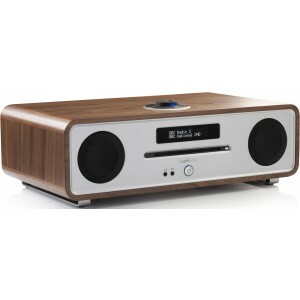 This Ruark system is designed and engineered firmly with the 21st Century lifestyle in mind, and includes upto date features but maintains the ideology of the original R4 as a traditionally designed music centre. As such, it features an improved multi format CD player, DAB/+ and FM tuners, auxiliary inputs, aptX Bluetooth receiver, USB playback port combined with a dynamic 2.1 audiograde amplifier and speaker system. An ideal solution for today's technophobes, the new R4 IMS has simple plug and play functionality filling your room with sound fit for even the most discerning listener. 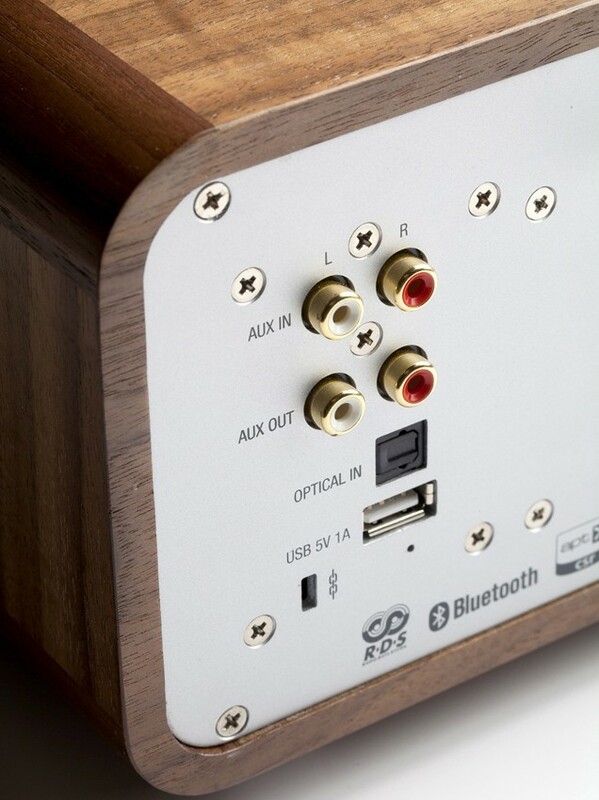 Despite choosing to keep the design of the R4 Mk3 reassuringly familiar, every key element of the unit is completely new and has been thoroughly reengineered to make this one of the finest all-in-one music systems ever created. The new design offers a smaller footprint, sleeker profile and an array of beautiful finishes. Set-up and programme information is displayed with impressive clarity for any viewpoint thanks to the OLED display while the latest integrated RotoDial controller manages functions directly from the unit or via the dedicated infrared remote. All of this combined with the compact ergonomic design amounts to a simple and intuitive operation. Inside the sleek casing, a revised slot loading CD mechanism speeds up function and delivers CD text information with compatible disks. The radio reception is premium grade and the built in aptX bluetooth reciever enables you to stream and playback music or media with CD quality sound from compatible devices. The rear panel incorporates a USB playback port, which can also be used as a convenient mobile charging port, for MP3, AAC and WMA files along with optical and analogue inputs. The Ruark Audio R4 Mk3 is specifically exceptional when used with flat panel TVs; the optical input provides a useful connection point and the rich expansive sound makes watching TV much more enjoyable. Far from the cloned systems found in stores, the R4 MK3 uses Ruark's extensive hi-fi heritage in every aspect of its design and engineering. 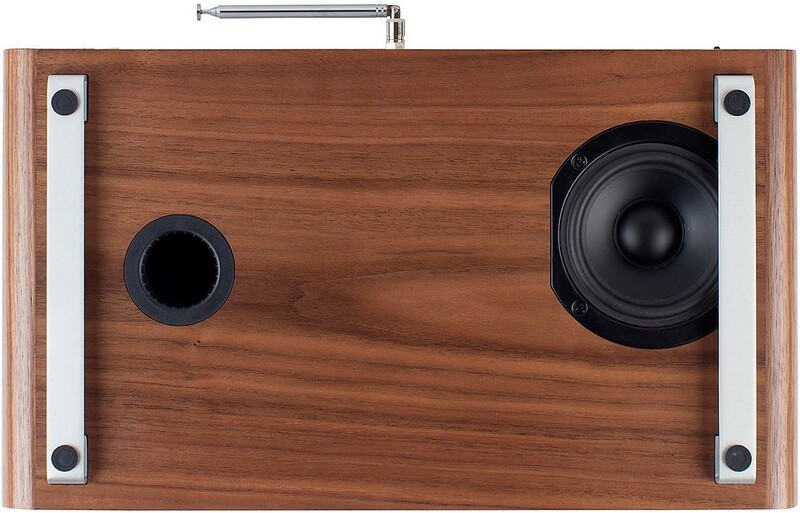 According to Ruark, the unit retains class leading standard for aesthetic design and sound quality and is a product which customers will love to use and cherish.